We love to hear from our brides afterwards, here are Jennifer’s own words about her reception at Hunting Creek Farms! 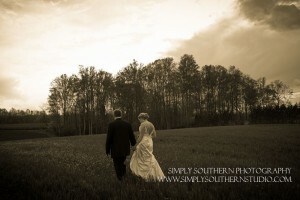 Our wedding reception at Hunting Creek Farms was fantastic! The property is gorgeous, featuring well-manicured pastures, a beautifully restored historical home, and magnificent Clydesdales. There were so many great views, we took both bridal portraits and formal wedding photos on site. Our 240 guests also enjoyed mingling by the outdoor fireplace and the abundant indoor space for dining and dancing. Working with Kisten and West Hunter was an absolute pleasure!